Everybody likes stats. All-time wins lists, qualifying speed records, counting the number of times Denny Hamlin has sped on pit road — it’s all interesting, but it’s also been done to death. Instead, let’s take a look at something a little different: which songs drivers choose to accompany their driver introduction walk-out twice a year at Bristol Motor Speedway when the Monster Energy NASCAR Cup Series race hits the high-banked short track in Tennessee. As we’ve noted, since 2009, Bristol Motor Speedway has tasked each driver with selecting their driver intro music — often leading to fun and memorable moments — and we’ve taken it upon ourselves to hoard all this data and obsess over observations like we’re Cole Pearn at a Furniture Row Racing competition meeting. Unsurprisingly, based on the trends noted in our last analysis, AC/DC’s Thunderstruck remains at the top of the most popular song list — selected 10 times to accompany drivers — even despite the fact that no driver entered to the classic hit in the most recent Bristol race this spring. In fact, most of the top 10 remained largely unchanged — the only exception being Luke Bryan’s Huntin’, Fishin’ and Lovin’ Every Day moving into this elite group, courtesy of Ryan Newman. Why such little change at the top since last race? The most likely scenario to which our analysts (well, me, the author, who is not an actual analyst of anything) attribute this is Bristol Motor Speedway’s recent change to how most drivers’ songs are selected: instead of giving drivers carte blanche, fans voted on one of three songs handpicked for each driver. Of all 365 musical acts selected for driver introduction songs, AC/DC continues to maintain a stranglehold on first place in the most popular driver introduction song category, selected 26 times — double any other group, and a whopping 3.45% of all entrances since 2009. There is now, however, a new three-way tie for second place on the list after the spring race: Motley Crue and Metallica have now been used 13 times, tying them with fellow runner-up Kid Rock, who hasn’t had much usage since Tony Stewart retired. A total of 15 new artists graced the NASCAR world with their debut on Bristol’s stage in the spring race, including notable how-the-heck-have-they-never-been-picked-before acts like Migos, Weezer, and The Beach Boys (as well as John Cena and Bill Elliott for some reason). *Corey LaJoie requested “The Walmart Yodeling Song” which makes his choice of what’s technically a Hank Williams song exponentially-less cool. Bill Elliott: 44-time race winner, current Xfinity Series driver, and now, thanks to his son, Bristol driver intro song musical artist. “Awesome Bill” is the first to hold such a designation. Bill’s spitting STRAIGHT-UP FIRE on this track. First discovered last year, we’ll continue to note the Keselowski Phenomenon as long as it remains true: when Brad Keselowski chooses a Kid Rock song for his intro, he wins the race, as he did in the 2011 Night Race and the 2012 Spring Race. 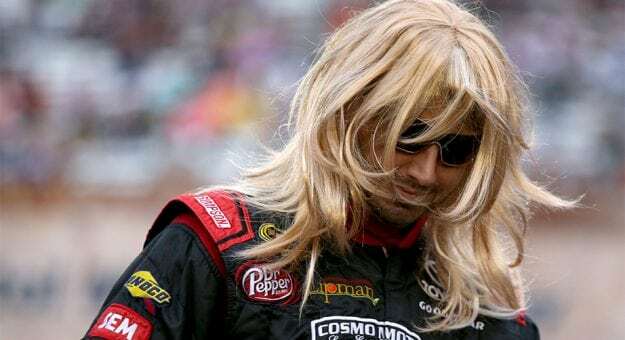 When he does not choose Kid Rock, he does not win the race, which has been the case in every other Bristol race since the 2012 Night Race. Twelve drivers have raced in all 18 races where introduction music was used (Clint Bowyer, David Ragan, Denny Hamlin, Jamie McMurray, Jimmie Johnson, Joey Logano, Kasey Kahne, Kevin Harvick, Kurt Busch, Martin Truex Jr., Paul Menard, and Ryan Newman). This year’s spring race marked the first time Matt Kenseth missed a Bristol driver introduction song. Still, we must remain vigilant and refuse to let our guard down. Ryan Newman again extended his streak of picking Luke Bryan’s Huntin’, Fishin’ and Lovin’ Every Day to four races in a row — now just one shy of tying Jeff Burton’s record five-in-a-row selections of Guns N’ Roses’ Welcome to the Jungle. Newman’s fourth-consecutive pick of the same song ties him with Tony Stewart (Kid Rock’s Bawitdaba) and David Reutimann (The Offspring’s Pretty Fly For A White Guy). 18 races at Bristol have used driver introduction songs so far, starting in the 2009 night race. 753 musical entrances have been made. 756 total selections have been made, but over the years, three drivers have DNQed, meaning their picks never made it to the big stage. 571 different songs have been used in total. 365 different artists or musical acts have been used. 115 songs have been used more than once. That’s a 20.1% song re-usage rate (up from 20.0% last year). Take a look at the master collection of data below and find some observations of your own. Please do tweet any interesting stats or patterns you might find — and don’t forget to tune in Saturday night (7:30 p.m. ET, NBCSN) to see what happens to our data after this year’s Night Race. Bristol Motor Speedway noted for Saturday night’s Monster Energy NASCAR Cup Series driver introductions, songs selected in this year’s spring race will be used, breaking the 18-race streak of unique song selections. For now, there’s no word on whether or not the tradition will resume in the future, but we’re holding out hope. After nearly a decade, driver intro songs have basically have become an institution, and we’d hate for all this data and research no one asked us to analyze to become useless. Take a look at the master collection of data below and find some observations of your own. Please do tweet any interesting stats or patterns you might find. Data from NASCAR.com (a Steve Luvender fave!) for 2013 (Night), 2014 (Spring), 2015 (Spring), 2015 (Night), 2017 (Night), 2018 (Spring).